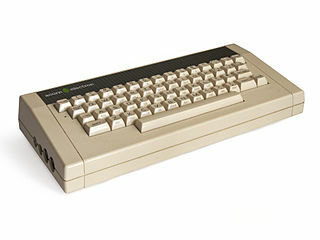 Released in 1983, the Acorn Electron was Acorn's most popular home computer and for a while was the 3rd best selling home computer in the UK. The Electron was an 8 bit microcomputer based around the 6502 processor with 32k of RAM and used BBC Basic as its programming language. ElkJS aims to emulate the electron accurately enough to be able to play many of the classic games made for this machine. The emulation is fairly accurate and most games should work. Firetrack isnt 100% and does display some slight graphical corruption. Exile appears to freeze after the game is loaded. All other games i have tried work fine. The browse button allows you to open UEF files containing snapshots or tape images. You can also select ZIP files and the first uef file found in the zip will be opened. Most if not all games are easily obtainable in UEF format on the internet. Everything else - (c) Darren Coles 2013.